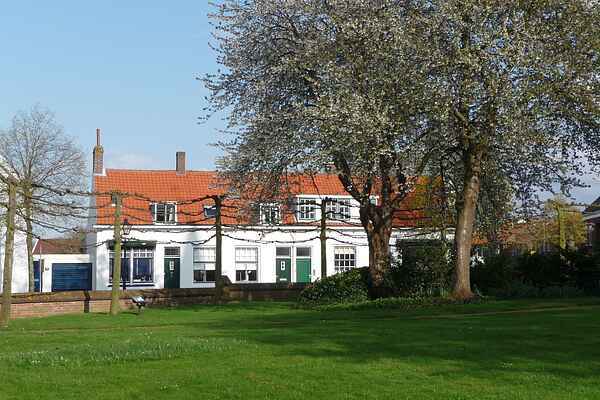 This lovely holiday home, on the village square of Koudekerke, is suited for six people. At the start of 2011, it underwent major renovations resulting in wonderful, new and comfortable modern decor. You can walk straight into the garden from the rear room. From the front room with cosy seating area in a modern style you have a view of the square. The house has an enclosed garden, where little children can play safely. The home lies near a charming, peaceful square with a bakery, cycle rental and there is a supermarket around the corner. You can cycle to the beach in fifteen minutes and you will be in the centre of Middelburg or Vlissingen within ten minutes by car. In Vlissingen, you can get a tan on the beach or take a lovely beach walk. In Middelburg you will feel like you are in the Middle Ages with the narrow streets, wonderful old buildings and canals. It's also good shopping in both cities. There is so much more to do in Zeeland, it is the province of the Oosterschelde, Veerse Meer and Grevelingen. Ideal for all types of water sport fans.